Dragon Flair is a gaming PC builder located in Ireland. Building high-quality and performant PCs is the heart of our philosophy. Press Release (ePRNews.com) - CORK, Ireland - May 09, 2017 - Dragon Flair is a new gaming PC builder located in Ireland and delivering high-end gaming PCs. Rogue: An affordable gaming PC. The Rogue offers a great range of Intel processors from the Intel Pentium processor to the Intel Core i7 processors. A wide choice of budget cases is available as well as quality and reliable components. The gaming PC Rogue can host one graphics card for you to choose from either our AMD Radeon RX or Nvidia GeForce GTX graphics cards. Inferno: A complete custom PC. The Inferno is a high-end custom PC offering a high level of customisation. It has already been praised by Kitguru for its unique and gorgeous look as well as its blazing fast performance. 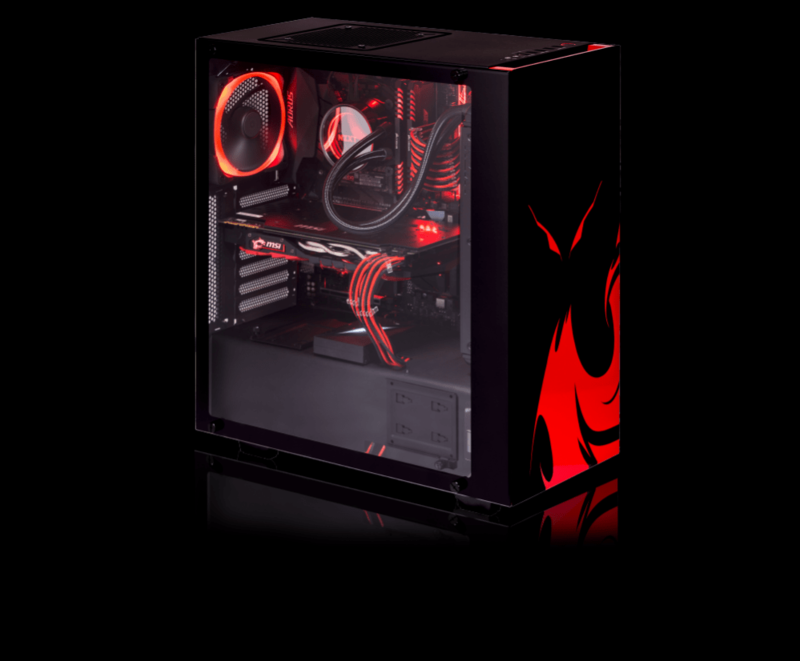 The Inferno custom PC features a vinyl wrap available in different colours as well as a tempered glass side panel. Up to 2 graphics cards in SLI/Crossfire as well as Intel Core or AMD Ryzen processors are available will fit inside. CPU watercooling options are also there to keep your custom PC cool. Venom: A high-end gaming PC. The Venom is available with Intel processors. The X99 chipset will release the power needed by any demanding gamer or graphic designer. The Venom can host up to 2 graphics cards, Nvidia GeForce GTX or AMD Radeon RX, 128GB DDR4 memory as well as 3 hard drives. The Venom will deliver extreme performance, high framerate and smooth gaming at very high resolution. Ryzen: The Ryzen gaming PC is dedicated to the AMD Ryzen platform. The new AMD Ryzen processors are now available and feature up to 8 physical cores and 16 logical cores for outstanding video editing performance. Choose an AMD Radeon RX graphics card for FreeSync capabilities or an Nvidia GeForce GTX for G-Sync. The Ryzen will deliver amazing gaming performance and framerate at high resolution. Draal: Our mini gaming PC. The Draal features similar options than the Rogue but in a compact form factor. If you’re looking for a PC for your living room, the Draal has been designed for you and will fit perfectly next to your TV. The Draal can host up to an Nvidia GTX 1080 Ti as well as an Intel Core i7-7700K for extreme performance. The Draal is also VR Ready so you can immerse yourself into your favourite games. Every Dragon Flair gaming PC is shipped with lifetime free support and is built bloatware-free so you can enjoy the best gaming experience.